Finance Minister Arun Jaitley on Tuesday told an industry delegation that the focus of the government was on lowering tax rates and expanding the base. Interacting with a delegation of the Federation of Indian Chambers of Commerce and Industry (Ficci), Jaitley said reforms in direct and indirect taxes would continue to further ease the business environment in the country. Later, Ficci President Sandip Somany said the FM promised the delegation that the government would lower the corporation tax rate to 25 per cent for all companies once the goods and services tax (GST) collection improved. Currently, the corporation tax rate is 30 per cent. “He (Jaitley) promised that as the revenue collection from the GST goes up… he will rationalise the taxes for the rest of the corporate sector over the next few years,” Somany said. In his second Budget, Jaitley had announced that the corporation tax rate would be cut to 25 per cent over four years. However, tax has gone down only for micro, small, and medium enterprises (MSME) in a phased manner. First, companies with an annual turnover of up to Rs 50 crore had their tax rate cut to 25 per cent. Then, those companies with turnover up to Rs 250 crore benefitted. Almost 99 per cent of companies filing tax returns in the country come under the MSME bracket. 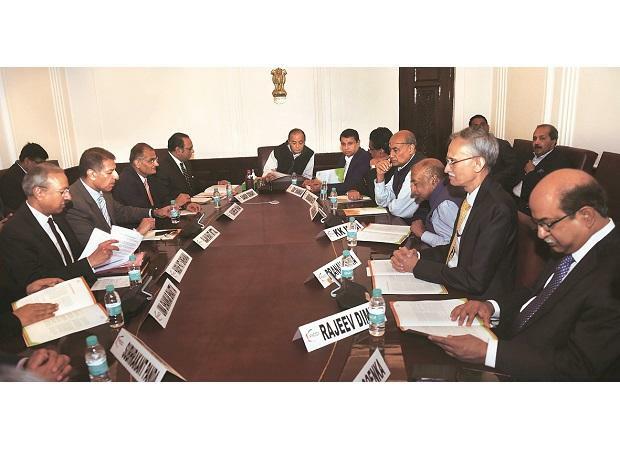 Jaitley reportedly told the delegation that indirect tax collections were set to increase. The GST was on track and would settle down soon. After the meeting, Somany said discussions revolved around a wide range of issues, including taxation, job creation, and boosting industrial output. The Ficci president urged the FM to reintroduce investment allowance, linking it with employment generation. A request was also made to extend the phased manufacturing programme to other sectors, where the country was largely dependent on imports.